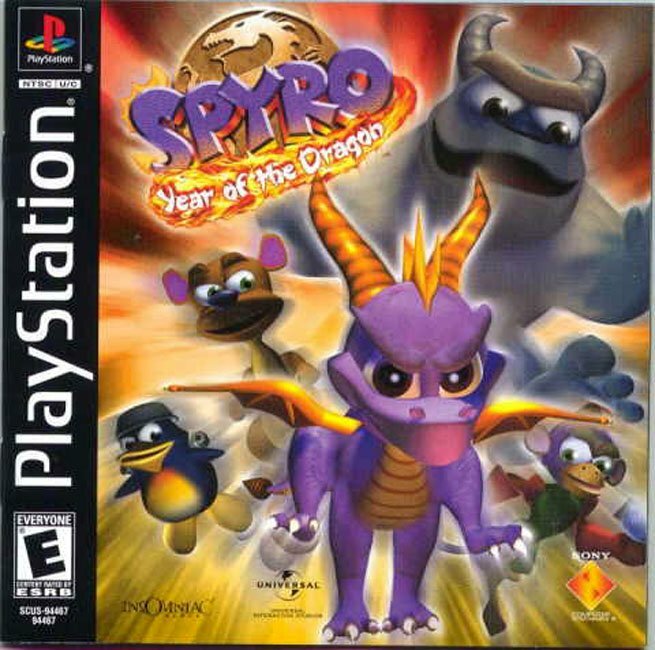 The third game in the Spyro series, and the last to be made by Insomniac Games. 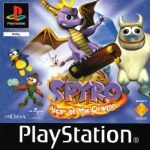 Spyro: Year of the Dragon is the biggest of all the Spyro games so far made. 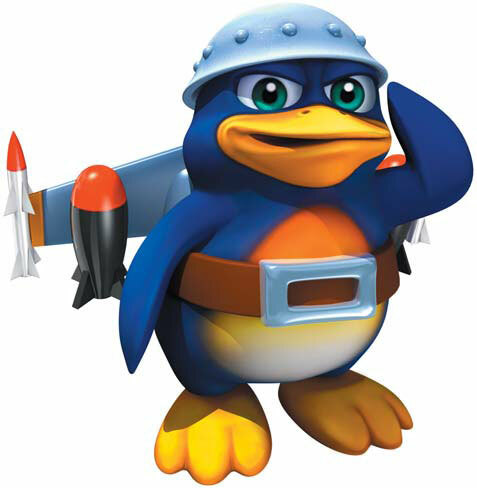 It incorporates several new playable characters as well as a new evil to fight. 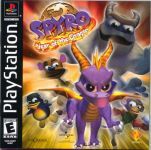 In this game you play mainly as Spyro, but there are certain levels and parts of levels where you can only play as a different character. 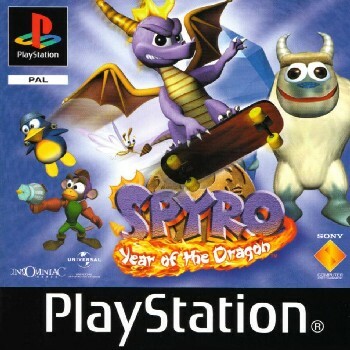 The playable characters in this game are: Spyro, Sparx, Hunter, Sheila the Kangaroo, Sgt. James Byrd, Bently the Yeti and Agent 9. Every twelve years, the Dragon Kingdom celebrates its most important event: the "Year of the Dragon" Festival. Fairies deliver a new batch of dragon eggs and dragons come from all around to dance and feast until everyone drops from...eggshaustion. Far away - on the opposite side of the world - lies a kingdom long since forgotten by dragonkind. So forgotten, in fact, that even the legends about these "Forgotten Worlds" have now been forgotten. This kingdom is ruled by a mean and spiteful Sorceress who has frankly become quite fed up with being forgotten. As she sits on her forgotten throne, the Sorceress has hatched a fiendishly evil plan. A plan to restore the fading magic to her forgotten realm. A plan to conquer the dragons once and for all. All she needs is a little help from her army of horn-nosed 'rhynocs', the cooperation of her mysterious disciple Bianca and of course, those 150 magical dragon eggs. Gems are strangely identical to the last game. Strangely because Avalar and The Forgotten Worlds are most likely further away from each other then the Dragon Realms is from the Forgotten Worlds. Strange how they have the Avalar set of gems rather than the Dragon Realms set, maybe the Sorceress had the GemCutters in from Avalar though. The same containers for the gems as in Avalar. However here you get gems from killing the Rhynocs whereas in Avalar they released a Spirit Particle. Also this game sees the return of a locked chest, slightly different in appearence from the first game, but you will still need to find a key to open them. Anyway, on with the walkthrough, and on to Sunrise Spring!